While the men were subdued, while the man died in the men in the face of oppression and tyranny of the British colonial government, the women waded in. Record has it that over ten thousand women took part in this revolt and about 50 women lost their lives as a result. This resistance was orchestrated by the following personalities; persuasive Ikonnia, intelligent Nwannedia, passionate Nwugo and wise, counselling and strategic Nwanyereuwa. 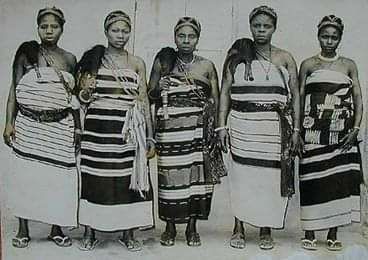 These were the women that led the famous “Aba Women Riot.” Women from across Six ethnic groups were involved - the Igbo, Ibibio, Andoni, Ogoni, Bonny and Opobo. Hundreds of British colonial courts were destroyed and burnt down, hundreds of warrant chiefs were ostracized and banished. On the aftermath of the revolt, the British were forced to abandon the proposed plans to impose tax on the market women, powers of the warrant chiefs were considerably curbed and more robust room was created for women’s inclusiveness in the grand scheme of things. The “Aba women riot” was on the scale never seen before. It prompted, encouraged and inspired subsequent agitations like, The “Tax protest of 1938,” “Owerri and Calabar oil mill protest of the 1940s” and “Onitsha Aba Tax revolt of 1956”, then subsequently, Nigeria's independence in 1960. Unfortunately, when you drive through Aba today, you will see Faulks road in Owerri, you will see Wetheral Road and Douglas road which are all colonial relics. Imo State government house is called Douglas house, named after Harold Morday Douglas, a brutal British colonial district commissioner, who orchestrated the Ahiara expedition of 1905 that saw villages wiped out. Today, a governor in the East is busy erecting statues of Ellen Johnson Sirleaf of Liberia and Jacob Zuma of South Africa, both of which have no connection or historical relevance to the people of Imo State. We’ve seen streets, roads, government buildings and schools named after total and brutal strangers, monuments raised in honour of people of little or no importance to our history and future. But the real heroes, heroines and legends have been relegated to obscurity, sent to oblivion in a complete sheer and crass negligence. We hope that one day, the Igbos, Ibibios, Andonis, Ogonis, Opobos and Bonnis will have a leadership that will remember these women, the fifty that lost their lives and all that paid the ultimate price and immortalize them. We hope that one day, we shall see Nwanyereuwa road, Ikonnia hospital, Nwannedia secondary school and Nwugo Square. We hope to see Biafrans name our children after these legendary women and mothers and tell them this story of honour and gallantry. Today, 18th of November 2018, we remember the women who didn’t only fight against an oppressive British colonial rule, but also had to fight their own men (Warrant chiefs), who chose the side of the oppressor because of crumbs that fall from the table of the white imperial and colonial masters. Aba women riot, the women who went to war. We remember.